Service: Excellent. Although I’m pretty sure this didn’t happen for everyone, I was shown all the way to my seat by a series of flight attendants handing me off to each other. NBA Basketball All-Star Steve Nash was also on my flight and seated (oddly) a number of rows behind me in economy. Perhaps they thought I was him (minus about a foot). Food & drink came early for me as I had ordered the low-sodium/low cholesterol meal option at the airlines’ website a few days before the flight simply to be first and get some sleep…and my wife is hinting that I should eat better.have a sparkly reputation for service and comfort, so I naturally expected this seat to be in the shape of a la-z-boy and made of memory foam. It was neither. It was however, pretty comfortable for about the first three hours before I noticed that the lumbar area of the seat curves inward (away from your back), making it pretty uncomfortable for the long flights this aircraft typically flies. The seat’s amenities are top notch, in that they exist. There’s a 1992 Toyota Corrola-esque cup holder if you’d like a place for your beverage without having to lower your tray table. Recharging your phone or mp3 player? That will require you to lower your tray table as the outlet is found directly behind it. I think that’s weird…and inconvenient. The entertainment system is pretty well loaded with movies and TV shows. Full seasons of network sitcoms, cartoons and more were available along with movies in several languages and tons of games to pass the time. Notes: Did I mention the cup holder? Summary: Cathay Pacific has done a good job updating their cabins, most recently to their international business class and not-shabby-at-all first class cabins. While their intentions were good in their latest version of economy, the seat comes up a little short. The intended benefits of the fixed seat are cancelled out (at least partially) by the lumbar discomfort and lack of cushioning. Relative to economy class, entertainment, customer service and seat extras (power, cup holder) were well above average. Rating: 4 hops (of 5). Strategy: There’s no strategy in finding basic economy seats. If you decide not to opt-up to an exit row or other “premium” seat, it’s best to choose something mid-cabin (away from galleys and lavatories) to avoid pesky foot traffic and noise. How I got it: This one was not a discount purchase. Cathay sometimes offered specials at their website, but I just paid a competitive price when booking and it was the best option for the route I was flying: Between New York and Vancouver. The in-flight service far surpasses that of North American competitors, so it was an easy choice. Sounds decent. Was this from Kennedy to Hong Kong? This one was actually just Vancouver to Kennedy. Sounds like you enjoyed the flight. Oops! Thanks for the heads-up on the link. I did enjoy the flight. Best option to YVR from NYC for sure. I didn’t get a look, but the flight attendant I spoke with insisted this aircraft was configured with Cathay’s newer business class seats, which they refer to as “77D”. Agreed. 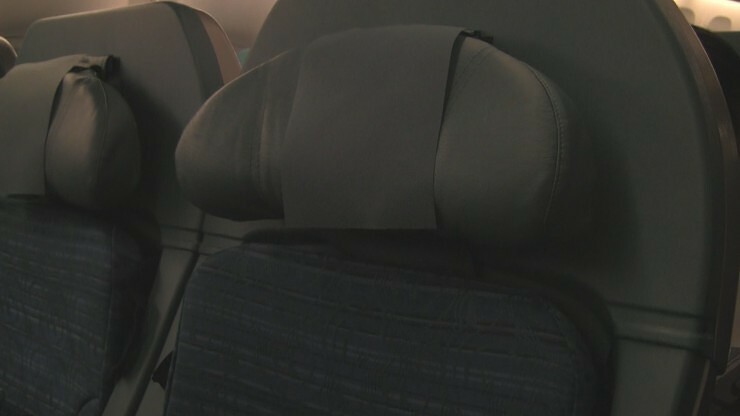 The lumbar support on economy seats is simply ridiculous. I used to fly from YYZ to HKG every 3 months. Stuck in those seats give me backache every time. Thank god for modhop.com, will be flying from MNL to LAX this April via HKG. I do have some back problems and the seat dont recline at all wow thats great! Thanks Paolo. The seats don’t recline in the traditional sense. They slide forward into a reclined position by moving your rear end forward. However, there’s not enough there to support your back and force you into a slouched position….which is why these seats are disliked by so many. Cathay is a very good airline otherwise. Touché on your assessment of Cathay Pacific. The quality of service they provide to their passengers, regardless of travel class is head-and-shoulders above all U.S. carriers. Thank you for your insightful reviews and comments, Jake! You’re very welcome Robert! Glad you like the reviews.